This run costs $15 which helps the ABRC pay its dues and run the logistics of our weekly Wednesday runs. Please RSVP and pay in advance via PayPal on the Meetup site. This event is limited to the first 100 RSVPs. PLEASE BRING CASH for the bars (no cards). Run is roughly a 5k. We recommend you buddy up with folks to buy rounds if at all possible for quicker beer-in-hand for all. NOTE: This is an at your own risk event. The Austin Beer Run Club accepts no responsibility for any mishaps. Please make sure to hydrate before, during and after the run! Date: Saturday, January 31, 2015. Time: Arrive at 1:15pm; run starts at 1:45pm. Start/End Location: Uncle Billy's on Barton Springs Rd. 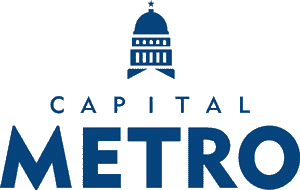 Parking: We strongly encourage runners to carpool or take public transportation, taxis, or Uber. 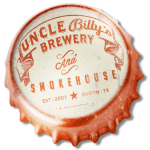 If you do drive you can find parking in the lot behind Uncle Billy's, in the softball field lots of Butler Shores Ball Fields on Toomey Rd, or in the neighborhood up from Uncle Billy's on Kinney Ave.
Start: Uncle Billy's on Barton Springs Rd.